Most parents know how tremendously difficult it is to persuade their children to get a haircut; it usually begins and ends with tantrums or trouble. Whether the child wants to emulate a floppy-haired celebrity or pretend that they’re Tarzan, children are usually reluctant to get their hair cut. Rather than dragging your child to the hairdresser’s for their monthly haircut, many parents are now doing it at home. Not only is this economical and easier, it is also more likely to keep the child comfortable. Having a familiar face handling their hair can be a lot easier than allowing a stranger with scissors to get anywhere near their head; after all, we’ve all watched Sweeney Todd. This guide provides you with some simple steps and tips to help you cut your child’s hair in the easiest and safest way possible; something that both you and your child will appreciate. Step 1: Using a wide-toothed comb to avoid tangling or pulling on the hair, create separate sections of hair on the head. Mark approximately one inch-thick sections of hair along the head and secure them separately with loose clips. This means there will be a horizontal bottom section, some middle sections, and the front sections of hair. Step 2: After de-tangling and dampening the hair, slowly move the comb downwards through the hair and cut half an inch from the ends, using the comb to keep the hair straight. 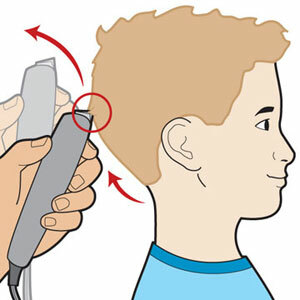 Hold hair between your middle and index finger to mark the length before cutting it off. For naturally curly hair, cut off about a quarter inch because curly hair seems longer when it’s not wet. Step 3: Pin the bottom section aside, then open up the next section at the sides. 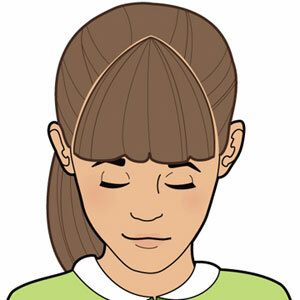 After dampening the hair, use the same technique as above to begin trimming the hair. It is best to do the left and right side separately before moving on to the topmost section. Step 1: Divide the hair into rectangular sections from the front of the temple. There should be separate sections on either side of the head, just in front of the ear. Step 2: Move from the left side to the right side while trimming thin sections by a quarter of an inch in length. The general difference in length from back to front is half an inch. The trick is to cut only a quarter inch because the curvature of the head gives a false pretense of long hair in some sections. Step 3: For the back sections, approach from the right side to the left side. Trim thin sections of a quarter-inch in width only, and then proceed to do the same for the lower sections on both sides. Step 4: Check if the lines you have cut are balanced by observing them in a mirror.Finally, you can conclude and style this section according to your child’s preferred length. Trim bangs: Dampen the hair from the front hairline section and run a comb through the hair to unravel any tangles, as well as to even out the length of the hair. Cut across a horizontal lined pattern to mark the length of the bangs as they match with the middle of the eyes, or a bit shorter if preferred. Trim triangular–shaped bangs: Choose a preferred starting poin t and section hair in a triangular patterncoinciding with the outer end of the eyebrow. You can consider starting narrow as it can create more width. Trim bangs across: Separate the front section of hair between one or one-and-a-half-inch-thick sections. Clip the rest of the hair back. The front hairline section should be horizontally separated. Tips to trimasingle length: Select a suitable guard length such a No. 3 and secure it to a clipper. Advance from the back towards the front side of the head and trim the sides towards the end. Select a different guard such as No. 2 for shorter hair lengths. Tips to trim afade: Attach a guard (No.2 length) to the clipper, then trim hair from the nape of the neck to the base of the skull, using an arcing technique. Tips to refine hairlines: Use small clippers to part and distribute the hair, and outline the hairline and the sideburns area. Have your kids seated on a highchair before advancing with a haircut to avoid any interruptions or tantrums. Cleaning up after a haircut is easier when there are no carpets or rugs. Either way, put a towel around their shoulders to make sure that no hair gets to them. You can also use a plastic sheet cover which can be cleaned more easily than a towel. You can use the PSP or television as a diverting tactic to keep your children busy while cutting their hair, so they won’t get bored or fussy. However, make sure that their head is kept as straight as possible. It is better to allow your kids to indulge in ice creams and lollipops while cutting their hair. Any form of incentive which diverts their attention from your scissors is worth the endeavor. It is better to be well equipped with clippers, scissors, capes, combs and a brush in case you attempt to cut short hair. The major components are just the scissors and a plastic cape. Don’t be ashamed of any mistakes you make. Learning incorporates the chance of making mistakes and the worst that can happen is that your child will end up with a bad haircut a few times before you learn how to do it properly. It’s always useful to ask a friend or your spouse to look at the haircut and even out any imbalances. 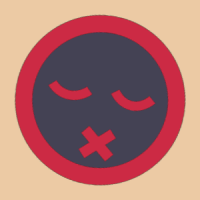 Don’t fret over small technical errors since evenness and balance are more important. The internet is a basic facility for guidance. Utilize all the help you can get from it. If you watch some before you do the haircut, you can avoid some mistakes positively.